The Soulja Boy dance is a popular choreographed dance routine set to an infectious hip hop beat. Learn how to do this dance yourself with the help of instructions and videos. Soulja Boy and "Crank That (Soulja Boy)"
Soulja Boy, sometimes called Soulja Boy Tell'em, is a popular rapper, thanks in large part to his internet presence. While trying to find a home for his music, he made heavy use of YouTube and MySpace to share his songs with fans. The song associated with the Soulja Boy Dance is "Crank That (Soulja Boy)." In 2007, it became a number one hit after first being released online by the artist. The video begins with two young children performing the dance in a record executive's office, which is a fairly accurate portrayal of the song's ability to appeal to a wide-ranging audience. Despite its popular appeal, the song and Soulja Boy's first major label album were universally panned by critics. However, platinum-level sales show that listeners didn't care, and the song hit #1 on the Billboard chart. The music video for the song helped to popularize the dance. Because it is a central part of the video and works so well with the music, it's a fun dance to learn. Soulja Boy initially released an instructional video to go with the music, but it's no longer available. Fortunately, there are other ways to learn. You can learn the dance using instructional videos and step-by-step instructions. Use whichever method works best for your own learning style. In this easy-to-follow and helpful video, a professional choreographer helps you learn each step of the Soulja Boy dance. He breaks the dance down into each of its steps, demonstrating each piece separately and then performing it in sequence with previously learned movements. In this way, dancers work their way up to performing the complete choreography. First, he teaches you without music so you can get the moves down, and then he integrates music to help you keep it on beat. This is a great option if you want to take it slow as you learn. Start the dance by standing with your feet shoulder width apart. Your body should be relaxed. Jump, cross you feet, and immediately jump back to your starting position. Kick your left foot back, bending your knee, and touch your hand to the bottom of your foot. Twist your hips from side to side and then sit back into your right hip with your left knee slightly bent and your toe still on the ground. Hold your arms slightly lower than shoulder height, keeping them loose, and move them back and forth as you twist. Lower your arms and snap your fingers as you lean back. Move your right foot and touch your toe diagonally to the left. The knee should be slightly bent so that you do not look like you are trying to perform a ballet movement. Move your foot and touch your toe again in line with your right shoulder. Lift your right leg with bent knee and touch your hand to your knee. Turn your body slightly to the left. Place your hands together, palm to palm, and hold them at chest level, pointing out. Push off with your hands, swinging your arms to opposite sides while you lean forward slightly and lift your right leg with bended knee. This part is easy to match to the song because he actually says "Superman" in the lyrics, and the step is meant to mirror a flying movement. Keeping your feet shoulder width apart, jump to the left three times and to the right three times. Repeat. Arms should be held loosely at shoulder height; as you move to the left, they should swing to the right and vice versa. Get Ready to "Crank That"
Take some time to practice and have fun. 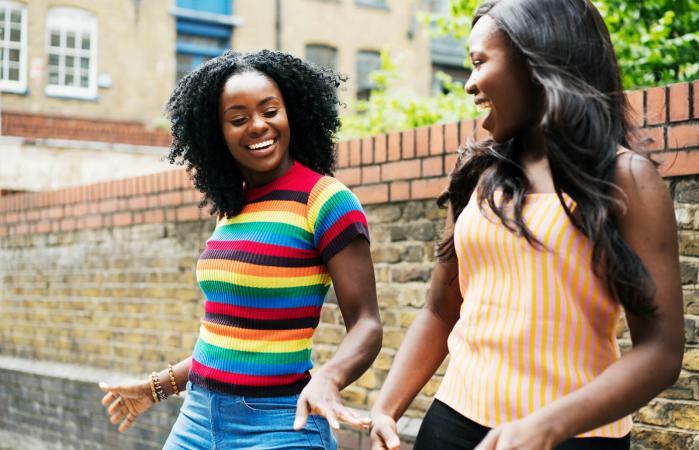 Whether you want to impress your friends at the club, add your dance video to the legions on YouTube, or create a funny meme with these moves, you should be ready to "Crank That" in no time.